The ultimate guide for bank management: how to survive and thrive throughout the business cycle. An essential guide for bankers and students of finance everywhere, The Principles of Banking reiterates that the primary requirement of banking, sound capital and liquidity risk management, had been forgotten in the years prior to the financial crash. 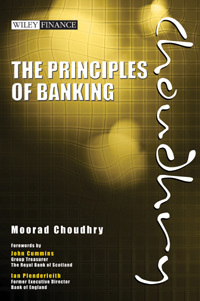 Serving as a policy guide for market practitioners and regulators at all levels, the book explains the keys to success that bankers need to follow during good times in order to be prepared for the bad, providing in-depth guidance and technical analysis of exactly what constitutes good banking practice.